New Orleans, Full Steam Ahead! The 1880s were the heyday for Mississippi steamboats. In fact Mark Twain’s book, Life on the Mississippi recounted what it was like to take a steamboat down the river to New Orleans. No doubt these Morgan Dollars lined the pockets of the crew and passengers of these impressive steam machines. 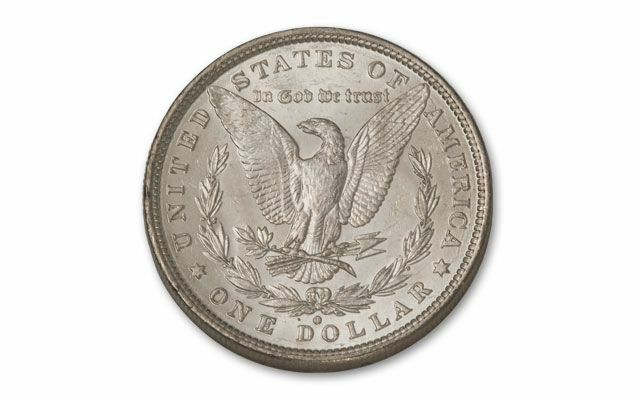 In the 19th century, the New Orleans Mint fed much-needed coinage into the Southern economy. 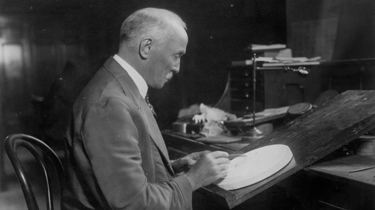 And the Morgan Silver Dollar is the most celebrated of all its strikings. 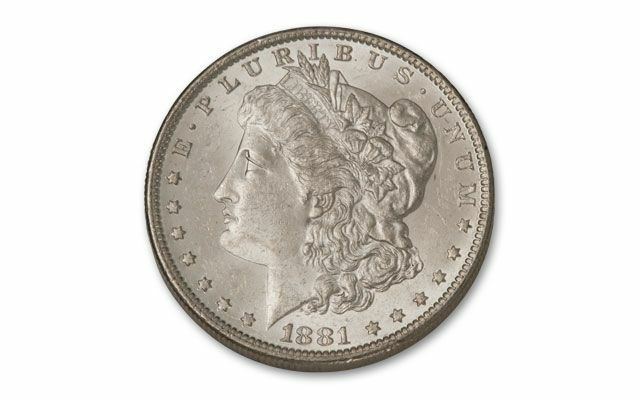 This Morgan was minted at the “Big Easy” mint, and comprised only 20% of the total Morgan Dollar production in 1881. These aren’t as easy to find as you might think, because millions were melted to support World War I and World War II efforts. Today they’re hard to find as a result. 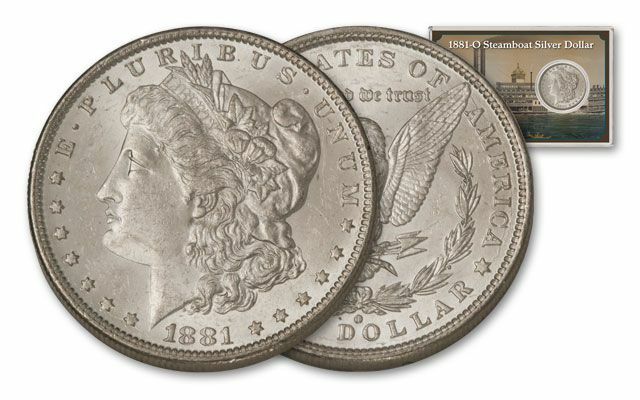 Here’s your chance to get one of these celebrated Morgan Silver Dollars in Brilliant Uncirculated (BU) condition. 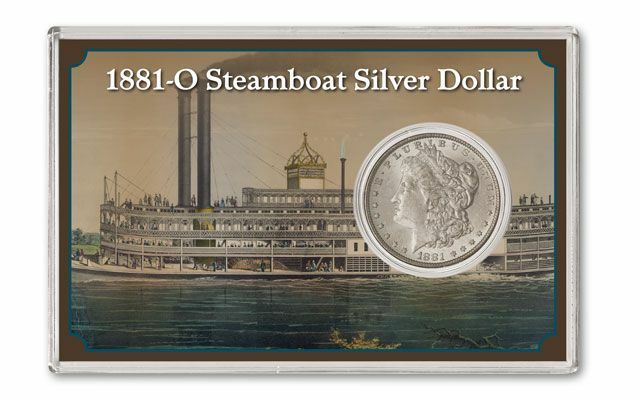 Each coin comes with a certificate of authenticity, and comes in a 4" x 6" holder featuring its fascinating connection to Mark Twain and its place in steamboat history.